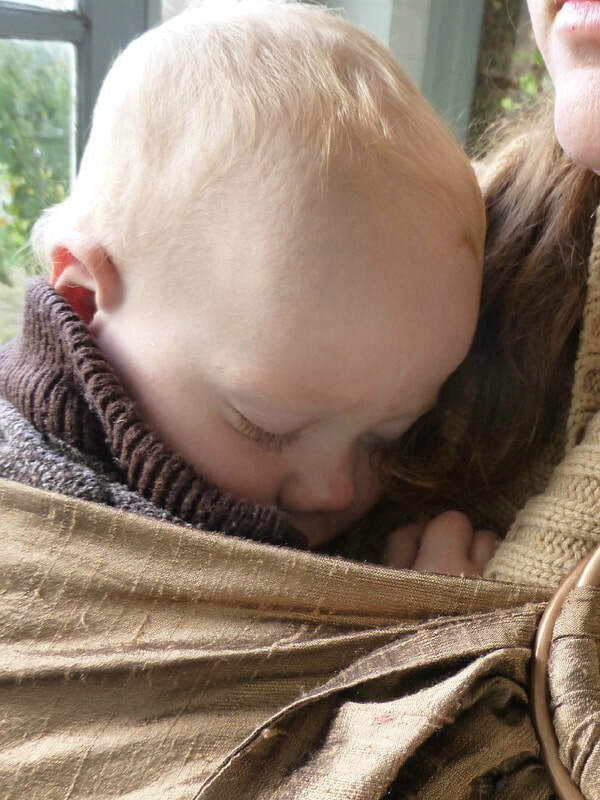 Unpadded - folds up small and is cool to wear in summer. Made from good quality natural fibres. Comfortable gathered shoulder to minimize pressure points. 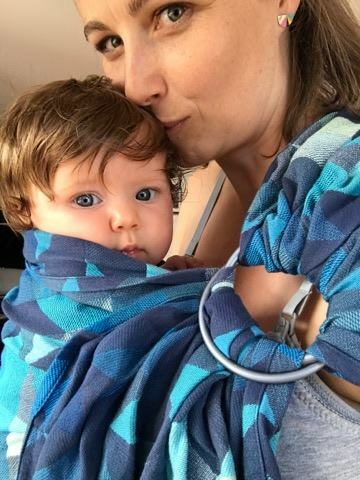 In the years of babywearing my own children I tried out almost every unpadded shoulder style and have found the gathered style the most comfortable, especially for heavy babies. 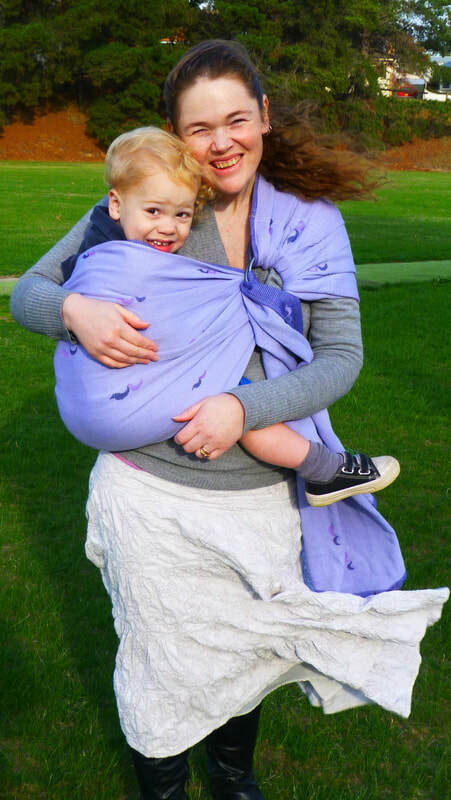 Lightweight aluminium rings designed to be used in baby slings - the rings are weight tested to 113kg . Stylish and unique. 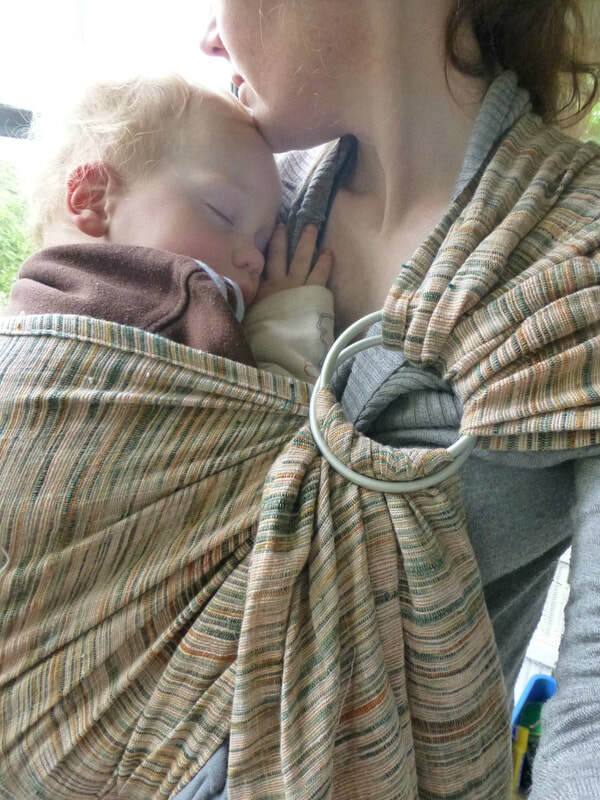 Hipababy slings are one of a kind or very limited editions. The standard size fits most, tail length will vary with your height, i.e. it will be shorter for larger sizes. 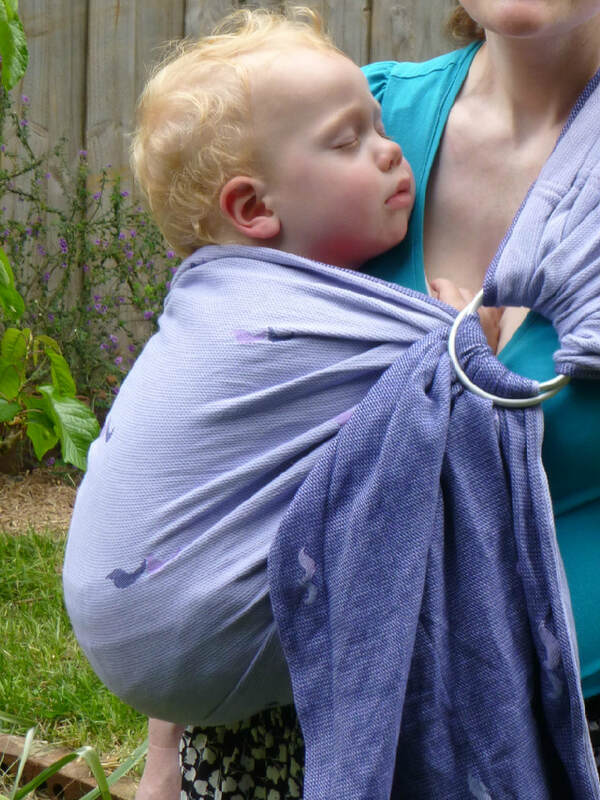 The standard size sling is 198-203cm/ 78 -80 inches long. Size medium slings measuring 188-193cm (74-76"), are slightly shorter than the standard length and fits wearers up to 5'9". Extra Long size is 216cm/85 inches and is a great choice for those who are a larger size or prefer a long, flowy tail. Extra large is 228cm/90" for an even longer tail. Size small is 72 inches /183cm or choose an extra small (165cm/65") if you are very petite and would prefer a shorter tail. ​Wrap conversion ring slings are measured in the centre of the taper so one edge of the sling will be shorter and one longer than your chosen measurement. Both medium and standard will fit most, but you will have a short tail with the size medium if you are a larger size. If you would like a very long tail then order the next size up. 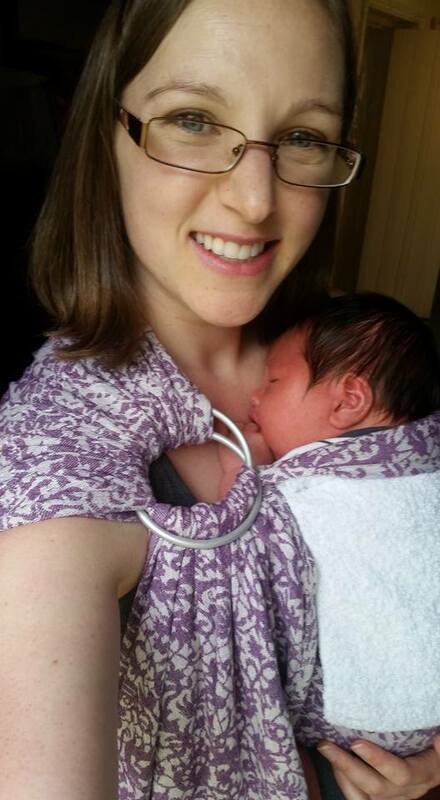 A ring sling conversion (sewn from your own woven wrap sent to me) are $30 each plus postage. ​Information about how to order a custom carrier can be found on this page. 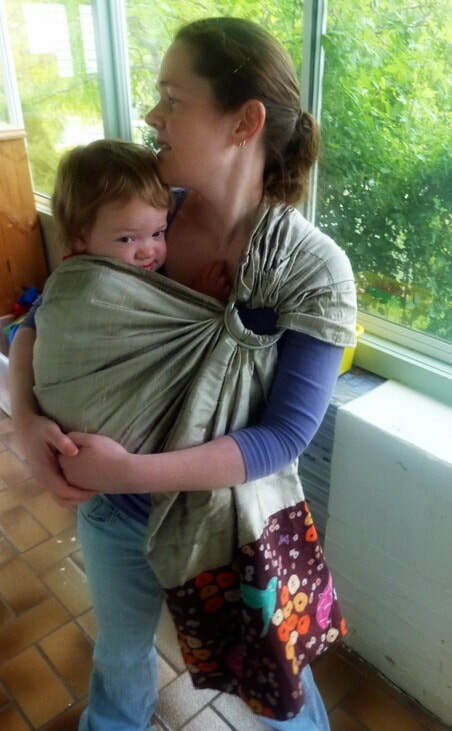 In stock slings are available to purchase here.